Last July, we announced our expanded partnership with Citrix, offering desktop virtualization solutions on Chrome devices to help more businesses transition to the cloud. Since then, we’ve seen rapid adoption of Citrix and Chrome devices in the enterprise. Many businesses have told us they picked Chrome devices for their security, manageability and cost effectiveness. But we also heard from some IT admins that it’s critical their users still have access to certain legacy line-of-business or Windows apps. To help meet this need, we’ve been working closely with Citrix to deliver Windows apps and desktops to Chrome devices through Citrix’s industry-leading virtualization solutions. All of this will be the topic of a new, three-part joint webinar series running this November, with the first event, "Secure your Virtualization Strategy with Citrix Receiver & Chrome OS,” running on Wednesday, November 8 10:00 a.m.—10:45 a.m. PT. Chrome’s management console simplifies and centralizes managing Chromebooks, giving you control over device policies and configurations. 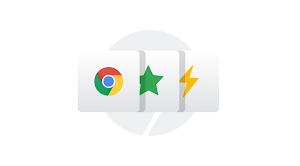 You can configure Chrome features and settings for users, set up VPN and wireless network access, pre-install Chrome apps and extensions (including Citrix Receiver) and more. Citrix XenApp and XenDesktop securely stores and delivers business apps and sensitive data from the cloud to Chrome devices. Citrix just released version 2.5.2 of Citrix Receiver for Chrome, a native Chrome packaged app which enables users to access Citrix virtual desktops and hosted applications from Chrome devices. Citrix Receiver for Chrome provides the most secure solution for accessing XenApp and XenDesktop virtualized environments. Citrix provides automatic version updates of Citrix Receiver for Chrome every quarter to ensure an always-up-to-date user experience. With Citrix XenApp, IT admins are able to deploy customized profiles to specific users and groups of users. With Citrix XenDesktop, IT can deploy standardized virtual desktop experiences across groups of users, providing a desktop in the cloud. Chrome is designed to provide multiple layers of protection. 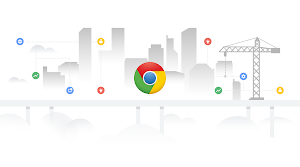 Every Chrome device performs a self-check upon every boot, encrypts and stores user data, and automatically downloads updates so the device always has the latest security features. Chrome Microsoft® Active Directory® Integration lets you fully integrate your organization’s Chrome devices with a Microsoft Active Directory server. This means that you can easily join devices to your domain and see those devices in your on-premise domain controllers. With Citrix Receiver for Chrome, apps are published within a XenApp or XenDesktop environment either on premises or in the cloud. These apps are delivered to Chrome devices virtually, enabling IT to easily manage and secure access to business applications, intellectual property and sensitive data. We look forward to answering your questions and hearing your feedback.